Previous sections talked about the nature of the 'wer-animal' phenomenon – the disease that causes it, the myths that have grown up surrounding it, and the kernel of truth in those myths. 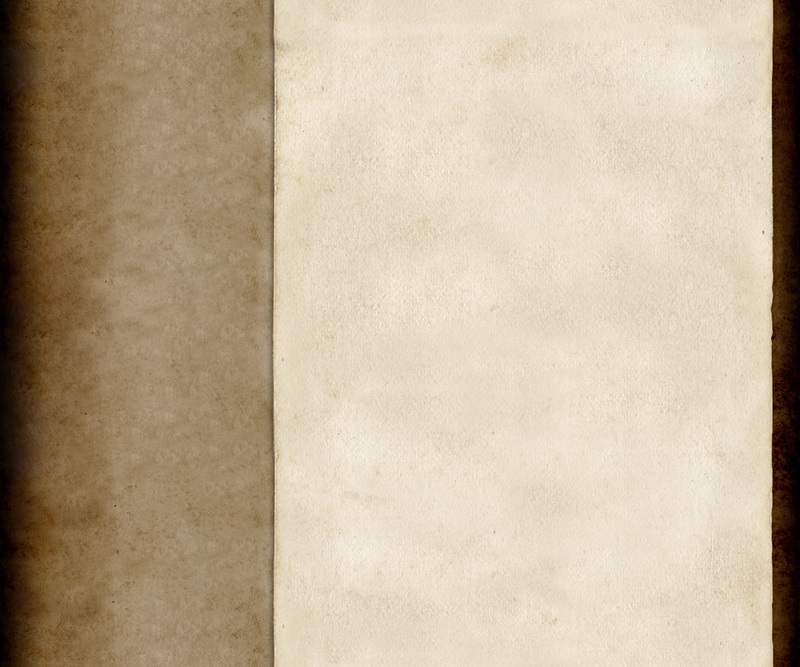 This section begins the tale of the long history of 'wer'. The 'covert' history includes the undercover history not found in college textbooks. Dates – all dates are given BCE (Before Common Era), which is the same dating as BC. The great time distances we are traveling into the past mean that the dates are approximate (plus or minus at least 50 years). The timeline I use is essentially that given by Jacques Kinnaer in his wonderful site: The Ancient Egypt Site. However, any inaccuracies are purely mine. It is not to be inferred that Kinnaer or anybody else cited herein ascribes in any way to the 'covert' aspects of history as I present them. Egypt has, arguably, been the site of the greatest empire the world has ever known. It began earlier as a true civilization, maintained its essential identity longer and built more monumentally than any other great civilization. The volume of writing and the detail of history left to posterity is astonishing. 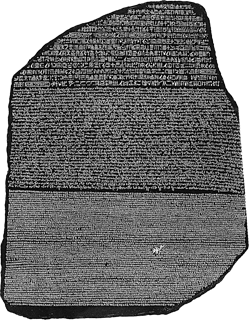 However, all knowledge of the language and writing was lost four hundred years after Rome conquered Ancient Egypt and turned it into a vast granary – lost until Napoleon's Egyptian campaign turned up the Rosetta Stone. After Young and Champollion used the stone to unlock Egyptian hieroglyphics, for the first time in fourteen hundred years the Book of the Dead revealed its secrets. And the ancient gods and Egyptian culture came alive for us, along with lists of kings and the overt history found in every textbook.. (For an excellent introduction, read Sir Alan Gardiner's Egypt of the Pharaohs.) For a website, visit my favorite: Kinnaer's site. But the overt history has holes and leaves burning questions unanswered. Much later another reader of stones, Jean LeDoux, Sandman, spent some time among the ruins of that ancient cradle of civilization, investigating the origins of the wer line that ultimately produced him and his own master, Saragossa, adding another layer to the long tale of Egypt – the covert history, the history of the first werewolf and the wer-animals that are his heritage. What follows is a synopsis that interweaves the overt and covert histories, and answers many questions traditional textbooks leave open. Pre-historic Egypt – The background to the coming of the true gods. Human-like beings have lived continuously in Egypt for at least 700,000 years. Perhaps even much earlier, the Nile Valley may have served as a route for hominids on their great migrations out of Africa. 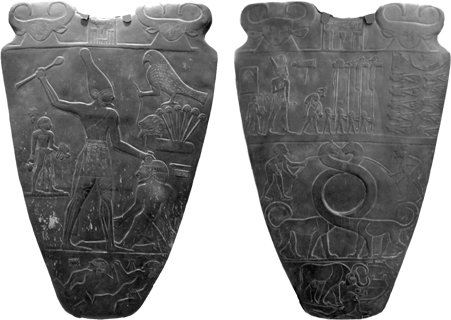 For much of this time (the Abassian and Mousterian pluvials), Egyptian climate was much more temperate and water-bearing than today, so that many travelers lingered and made that lush land their home. Periods of desertification merely served to concentrate the various peoples around the Nile. About 5,500 BCE the hunter-gatherer cultures began to give way to ones based on farming and domesticated animals. Possibly during this time the peoples of Egypt developed embryonic pictograms that lay the foundation for the hieroglyphs. From 5,500 BCE to the Dynastic period (3,100 BC), Egyptian culture accumulated the rudiments of nearly all the features we associate with Pharaonic Egypt. In the early stage, nomadic hunters gave way to permanent settlements existing on a diet of cattle, goats, sheep and pigs, and cereals, especially wheat and barley. Metal working, basketry, pottery, weaving, and the tanning of animal hides were commonplace. The second stage, the "Old" Predynastic (the Amratian or Naqada I period) began around 4500 BC, while the third stage of the Predynastic period dates to about 4000 BCE and is called the Gerzean period or Naqada II. Amratian and Gerzean differ greatly, yielding the thoroughly mixed people and culture of the Late Predynastic (Naqada III). Gerzeans ceramics feature ostriches and ibexes and other sub-desert animals not native to the Nile, along with the first images of gods, carried by boat, bearing the banners which later become the flags of the provinces of Egypt. While Amratian graves were simple pits in the ground, the Gerzeans built tombs that imitated the homes of the living, presaging Dynastic burials. The early animal-gods of the Gerzeans are seen in amulets found in these tombs, culminating in the Cult of Osiris. 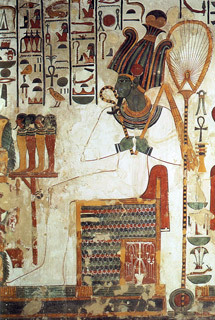 However, as early as the worship of Osiris was, the cult of the wolf-god, Anubis, was even earlier. This is one of the great happenstances of history (non 'coincidences') – that Egypt should have begun worshiping a wolf-god anticipatory to the coming of the first true god, a wolf-god. I am inclined to see the hand of some hidden player (I know not whom) when such astonishing coincidences occur, but in any case Egypt was perfectly prepared for the events that followed. By the end of this period there was an extensive and chaotic pantheon of incorporeal mythic animal gods (which I call the 'image gods'), some having dominance in one region at one time, others pre-eminent in a different locale or hour. Their authority waxed and waned. Their stories mutated. 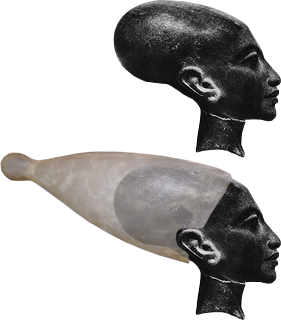 In some ways they were archetypes, in some mythic world, but their reality was never doubted by the Egyptians themselves. Into this setting there was born in the town of Abydos, in Upper Egypt, about 300 miles south of modern Cairo, the man who would later call himself Wepwawet and who would become the first master werewolf and father of the Egyptian pantheon of animal gods. 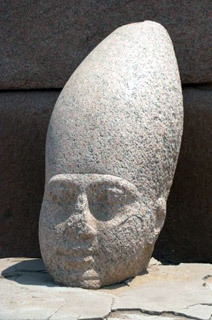 His birth probably occurred around 3200 BC, on the very edge of history, and it found Egypt thus: a thousand kilometer strip of land, stretching southward from the Nile Delta to the first cataract at Aswan, dotted with farming villages, already consisting of Upper (Southern) and Lower (Northern) Egypt, each town having its own patron god. The gods were animal-based, and their importance shifted along with the fortunes of their hometown. The land was populated with a great diversity of peoples – the heritage of having been a cross-roads for endless millennia – Caucasians and Semites, and many shades of black, from Nubians with the traditional African features, to dark-skinned folk with Caucasian lips and nose. Black skin was especially to be seen in the South (Upper Egypt), but all of Egypt averaged a much darker skin than the rest of the Near East of that time, and all those hues lived in harmony, or, at least, such lack of harmony as existed was not based on skin color. Wepwawet was born to the priestly caste and from birth was trained to serve the temple and his city's deities. At this early date, the Egyptian religion sought true understanding of the human condition and a spiritual grace called 'submission', which means much the same as 'to be in harmony with'. The Egyptians had built a paradise in the desert through a profound submission to the flood cycles of the Nile. They sought the same accord with their own inner natures, letting their awareness sink deeply into their minds and bodies to find the animal god within, achieving feats of self-control not seen elsewhere until India gave birth to its yogis and zen monks. Wepwawet's mastery of this control of the mind and body surpassed that of his own teachers, who soon found him to be an embarrassing hero to his follow disciples. A thousand years later the Egyptian solution would be to remove him by poison, but in those early days the priests found a more politic solution. They 'promoted' him to ambassador and sent him downstream, well-attended with an entourage of his admirers, to study the world and proselytize, to see what peoples lay beyond the great sea beyond the mouth of the Nile. Study he did, nor was he happy with what he found – a land divided, weak from strife and rivalry, ripe to be conquered by any outsider. It became his goal, his guiding passion in life, to harmonize Egypt as he had harmonized his own self – to unify the divided lands as he had unified his body and mind. His first step was to learn the features and extent of the land, as he had learned his own muscles and bones. But he had no idea how large was the world he lived in . He slowly made his way down the Nile, becoming ever firmer in his resolve to see a united land. When he reached the delta opening into the Mediterranean, he entered the unknown. The expedition sailed by Crete, wormed its way through the Cyclades, passed from the Aegean into the Sea of Marmara, squeezed through the strait of Bosporus and explored the coastline of the Black Sea. Here, months into his journey, he made landfall on the northwest shore of that sea and ventured inland, perhaps, into the Carpathian mountains. In what would later be Romania, his party experienced the strangest, most shattering event of their lives – an event that has shaped much of the history of the world. A rabid wolf, attacked the expedition and during the fight, both the wolf and Wepwawet were wounded and blood from the wolf entered Wepwawet's bloodstream, infecting him with the mutant strain now called after him – Wepwawet's rabies – the very strain responsible for the existence of the wer phenomenon. 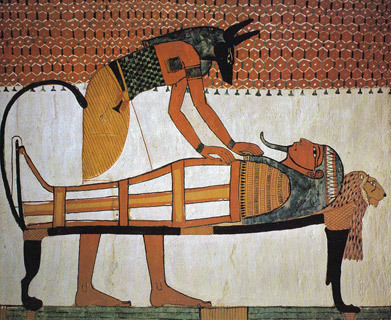 Egyptians knew rabies, knew it was invariably fatal. When Wepwawet fell into the coma, his followers prepared for the homeward journey to see him receive the rites that were his due as a priest. But Weprabies is not always fatal, and Wepwawet survived the coma. This alone would have filled his followers with wonder. But there was more – much more. The Weprabies brought with it the wolf genome and spliced it into Wepwawet's chromosomes. When the change began to take him, he was able, from his temple training, to ease his awareness deep within his body and guide it – the first human to survive the months-long transformation to wolf-man. Four thousand years later, the Balkan peasants of the same region, seeing those same alterations, would have fetched torches and pitchforks. Wepwawet's followers bowed down in adoration. A god was born unto them. 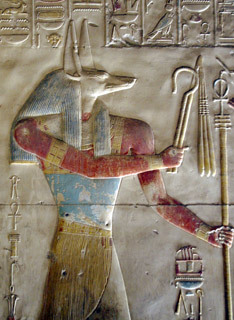 And not just any god, but Anubis, wolf-headed god of the dead. But from the first, their new god rejected the title of Anubis and became the less glorious, or at least less glamorous, Wepwawet – a minor wolf god, a mere guide to the dead in their underworld journey. Already the concept must have entered his head that he would lead the armies of Egypt into battle to unify his beloved land. The meaning of Wepwawet is 'Opener of the Way', and its first application was as Opener of the Way to the army – he who opens and prepares the path for the warrior to conquer. It is evident from what followed that he never intended to take the lordship of the united land for himself. He waited in the wild mountains some years or even decades to study his new body and its powers. But in the end he did return to Egypt, with the burning purpose of seeing it united – and the means to accomplish it, the authority of a living god made manifest. Frequently the first two or three dynasties are separated out from the Old Kingdom under the rubric of "Early Dynastic Period". (Note: Some authorities assign a '0 Dynasty', and even a '00 Dynasty', to cover various pre-dynastic rulers.) Because of the synoptic approach of this material, I am lumping the first six dynasties together under "Old Kingdom". Otherwise, I would arrange them three and three, since their definitive aspect – the pyramid – separates into two periods: the step pyramid before the Fourth Dynasty and the smooth pyramid during the latter three. The culture begun in the Predynastic Age, solidified and remained in virtual stasis for nearly three thousand years. A very long-lived arbiter of culture – living gods – has an enormously conservative effect. Youth changes culture; age preserves it. 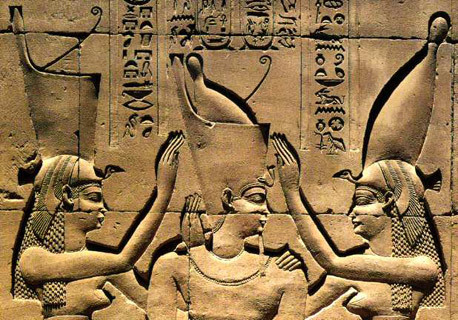 This unification is one of the great mysteries of Egypt. What was the name of the conquering king, the first Pharaoh of Upper and Lower Egypt? How did he manage such an enormous task with so little blood-shed? The date given for the Unification, and the beginning of the First Dynasty, is usually sometime between 3150 and 3110 BC, so some decades had passed since Wepwawet's first 'change' to wolf form. Overt history has no explanation for the phenomenon of this sudden, early unification, unparalleled elsewhere in history. Historians too often overlook the importance of a single spectacular event (eg a volcanic eruption, or a great flood), or one extraordinary man (say, Alexander the Great), preferring the theory of slow, causative change, like the eroding currents of a river. Such change is, indeed, the background, but the dramatic movements of history are almost always the result of a sudden 'punctuation'. The river of Egyptian history could not have thrown up a Menes great enough to 'deluge' Egypt – but a living god, backing a king of his choosing, is a 'punctuation' dramatic enough to explain this first great mystery. His thirst for unification quenched, Wepwawet forsook his former home, Abydos, and settled in a minor city, later called by the Greek name Lycopolis, City of the Wolf. He yearned now only for anonymity and time to expand the limits of his transmutation. There he passed perhaps a century as Egypt's sole true god – long enough that all his original entourage had died and none but he knew his origin and the origin of his godhood, for this he had kept concealed from the first. But despite his best efforts for secrecy, his fame spread. Priests came to Lycopolis, petitioning him to share his godhood. He refused all applicants, sensing their hunger for power. So matters stayed until one day there arrived at his doorstep the man who would prove to be the greatest single influence in Egypt, whose deeds and policies have reverberated throughout all the ages of history. Next: The passage of power from Wepwawet to Anubis. The history of Anubis's days in Egypt, lasting until the birth of the heretic pharaoh, Akhenaten, when Anubis set sail for the West. The stone (retrieved from oblivion by Napoleon) with the same inscription written in three scripts that was used to unlock the ancient Egyptian language. Often used to mean any key that unlocks any mystery. The Egyptian Book of the Dead was a collection of illustrated mortuary spells, written on papyrus and used as a guide for the newly deceased human to navigate the perilous trip from the land of the living to the Field of Reeds, where he would know eternal happiness with his family. Each book could contain up to almost two hundred spells, tailored to the desires and pocketbook of the purchaser. In other words, the special attention to the afterlife that had originally been reserved for royalty had become available for purchase. Originally these spells were only found on pyramid walls and royal coffins. This phenomenon of the democratization of the afterlife was only possible because waning and demise of the Living Gods. See The New Kingdom. Please note that he is unaware of my recommendation of his site and is in no way responsible for the 'covert history' of Egypt in my website. Wepwolf is simply a shortened form for Wepwawet wolf, meaning a wolf harboring the most virulent strain of the Wepwawet virus (Wepvirus), which causes WepRabies (Wepwawet rabies), the mutant strain of rabies that engenders all the wer-animal changes – werewolves, vampires (wer-bats), wer-jaguars and whatever. Wepwolf does not mean werewolf; it means a wolf which appears in all ways as a normal rabid wolf (having no special strengths), but whose rabies is actually WepRabies, and is therefore capable of passing on (from its blood directly into the bloodstream of a victim) the curse/blessing of being a werewolf. In a sense, Wepwolf is to wolf, as 'totem' is to other animals. Note: normal rabies is a much tamer version of rabies than the WepRabies, which almost seems to have been selected for the virulency of the rabidity it induces. That is, WepRabies intensifies the urge to attack and kill – but not the urge to wound and allow to live. There is no urge at all to spread werewolfism – contrary to what seems to be presented in the Hollywood mystique. This is why the distinction between 'master werewolf' and 'garden variety werewolf' is so important. The master werewolf can control the killing urge (he feels it, but does not obey it). The garden variety is the victim of his own disease and gives rein to any instincts that possess him. 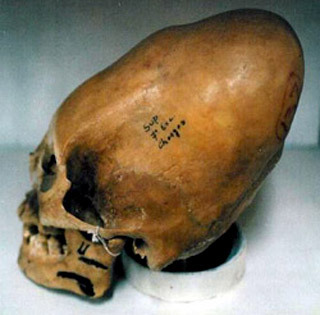 Humans and pre-humans have been in Egypt for hundreds of thousands of years. Even though the region has seen vastly different climates over that span, the Nile itself has remained a magnet for mammals. 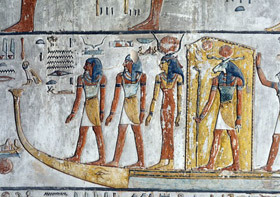 Human-like beings have lived continuously in Egypt for at least 700,000 years. Perhaps even much earlier the Nile Valley may have served as a route for hominids on their great migrations out of Africa – certainly the first true humans passed through this region on their great exoduses whether the ancestors of the Neanderthal or of Java man or of homo sapiens between 100,000 and 50,000 years ago. For much of this time (the Abassian and Mousterian pluvials), Egyptian climate, indeed the entirety of northern Africa, was much more temperate and water-bearing than today, so that many travelers lingered and made that lush land their home. But the earth wobbles on its axis and every 20,000 years or so that wobble sends the monsoons south, causing northern Africa to dry out. The last wobble occurred about 7000 years ago, resulting in the great desert we call the Sahara. This desertification served to drive the various peoples of the formerly lush land east, concentrating them around the only remaining reliable source of fresh water – the Nile. About 5,500 BCE the hunter-gatherer cultures began to give way to ones based on agriculture and domesticated animals. It is not too great a claim to say that the creation of the Sahara gave impetus to the birth of ancient Egypt. This concentration of peoples inexorably led to organization of ever greater groups of people, giving rise eventually to civilization. Possibly during this time the peoples of Egypt developed embryonic pictograms that lay the foundation for the hieroglyphs. Wepwawet has never been one of Egypt's glamour gods. You can, nonetheless, find websites mentioning him. 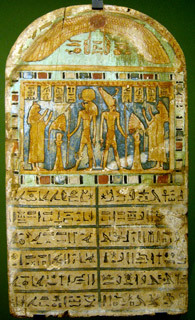 http://www.egyptianmyths.net/wepwawet.htm I quote this website below, in case it should disappear as have so many other sites. Italics mine.